Xtremepush enables enterprises to better understand their app user, increase engagement and drive revenue through their app. Engage your app user with interactive push notifications. With Xtremepush you can engage your users with rich interactive push notification campaigns, complete with personalisation, optimisation and intelligent delivery. Engage your users with intelligent, personalised push messaging. Customise your communication through the integration of existing user data with our powerful in-app analytics & user segmentation. Send the right message to the right person at the right time. By using our predictive analytics, you can get it right every time with custom scheduling and automated Push notification campaigns. Multivariate testing provides more insight in terms of how different elements interact with or complement each other. Use Multivariate testing to understand which Push campaigns deliver the highest engagement and which type of campaign will deliver the maximum ROI. With Xtremepush advanced location targeting technology, you can send push notifications to users the instant they enter or exit a specific location, even if they don’t have your app open. This ensures the user receives relevant messages at the right time in the right place. Engage your app users with In-App Messages. Deliver personalised In-App Messages to app users based on their previous interactions, spend and online behaviour with no opt-in required. Gain more insights into your campaigns by identifying how different elements interact with or complement each other. With Multivariate testing, understand which campaigns deliver the highest engagement and which type of campaign will deliver the maximum ROI. By using Xtremepush’s robust automation engine you can trigger In-App Messages at the right time to the right customer. Use our Event Driven Automation engine to increase the relevancy of your message and drive user engagement. With Xtremepush’s actionable app analytics enterprises can engage users who have dropped-off the user journey and help to nudge them along your app journey with relevant and personalised digital interventions. Deliver targeted, personalised content to your entire app audience. The dedicated channel enables you to reach your most valuable app users with targeted content. No opt-in required for App Inbox. Half of a typical app’s audience is left unaddressed. Apps that make high-performing message centers core to their experience see a 30% lift, on average, in user engagement. Give your entire audience a unique, dedicated inbox to consume and re-visit rich media content at their convenience, uncluttered from other marketing materials. Develop all of your users through each vital stage of the user journey. Continue the conversation with personalised content to drive key user actions and prompt goal completions. Maximise the impact of your push campaigns. When a message centre notification is sent in combination with a push message, average read rates more than double. Flexible attribution solution that will track your marketing efforts to enable real-time campaign analysis and optimisation to drive the best app installs and post-install events, maximizing your advertising ROI. Wondering which campaigns are delivering the lowest CPI? Xtremepush’s attribution analysis gives you a clear understanding of what networks and campaigns are driving the lowest CPI, enabling a better allocation of budget to drive increased ROI of your Ad spend. Post-install event analysis will show you the media sources and channels that can deliver not only an install but also a loyal user who meets your goals, whether engagement or revenue-related. This will help you focus on targeting users who will deliver the maximum ARPU. We continue to follow a user’s post-install activity, measuring their in-app events, and then tie these insights back to the acquiring network. Visualize the true impact of your marketing investments with real-time attribution and analytics. Xtremepush puts essential metrics at your fingertips enabling you to make up-to-the-minute decisions. View-Through Attribution allows you to track the true reach of your campaigns, including the influence of every impression served to users, giving much greater visibility than last-click attribution, where the source that drove the final click receives all of the credit. Engage your app users with redemption offers. WIth Xtremepush, you can send your app users promotional offers using push notifications and in-app messaging to drive footfall and increase engagement. How often do your app users enter your store or branch? Redemption messages are a great way to encourage your app users to visit your store or branch and interact with your staff. 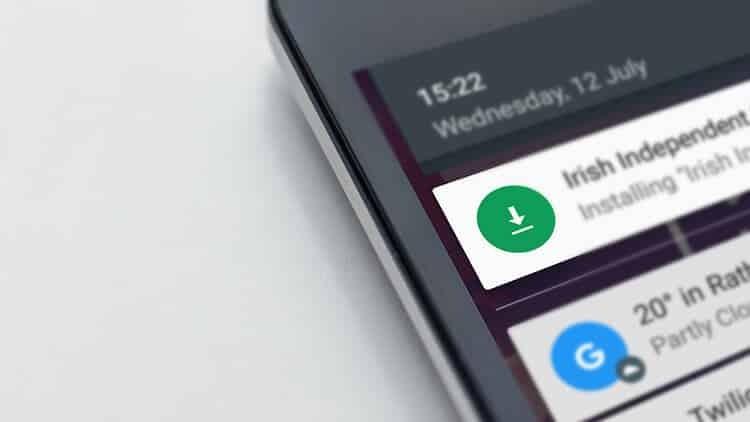 Create and send push message notifications to your app users to drive them into the app. Once in the app, they’ll receive an in-app message with the promotion details. All promotional offers have limits. When creating your redemption campaign, make sure you include your restrictions. For example the maximum amount of redemptions, number of times a single user can redeem the offer, an expiry date and the secret PIN code. The Xtremepush redemption offer system enables your users to redeem the offer through a unique pin number. This enables full tracking on ad redemption analytics without integrating into any 3rd party POS or sales system.